In need of stress relief? Live in the moment, focus on your breathing, take up physical activity—these are all common recommendations for minimizing stress. But while these solutions can be effective for some, they don’t work for everyone. When that’s the case, Roanne Abe of Goal Focused Results encourages her clients to pursue other, more creative avenues for stress relief. Dedicated to helping others achieve a higher state of wellness, this leading life coach of Oahu, HI, offers a few interesting tips for taking the edge off. If you’re overwhelmed by disorder, doing some light housework can be a great way to calm your nerves. As you complete simple chores, you’ll keep moving, get organized, and feel productive—all accomplishments that can provide anxiety relief. When stress has you feeling anxious, it can help to take up a hobby that doesn’t over-challenge the brain, but keeps you focused and active. 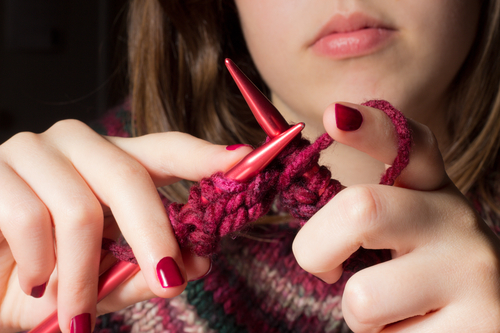 Many people find that knitting, gardening, and painting are soothing activities that provide an excellent distraction from tension. From social media overload to never-ending work emails, technology can be a major trigger for stress. If that’s the case for you, it helps to take a break from your phone or computer and set your eyes on some engaging reading material. Whether you prefer magazines or novels, concentrated reading can shift your thoughts and help your mind relax. As stress builds, the mounting tension can be hard to bear. While it’s not a good idea to raise your voice to another person, screaming in a safe space can provide an amazing sense of release that resets your thought processes. When you’re consumed by anxiety, laughing may be the furthest thing from your mind. However, laughing can actually reduce your body’s production of stress hormones and increase endorphin levels for a better mood. As such, you might consider watching a funny film or listening to a comedy routine next time stress takes hold. While these tips can help minimize occasional bouts of anxiety, there may be times when chronic stress is much harder to control. If you’re feeling tense on a regular basis, Goal Focused Results provides exceptional resources to help you find balance in your life. As a Strategic Intervention Life Coach, Roanne Abe will work with you to identify the factors that place pressure on your mind and discover innovative solutions for stress relief. Visit Roanne’s website to learn more about her expertise or call (808) 386-2834 to schedule a one-on-one session.